How fortunate will your life be this week? Here is the current week's forecasts for you according to your zodiac signs. Explore and see what components may turn out to be positive for your situation, and what are the areas you need to be aware of. Saturn is a friendly planet but people consider it as a malefic one. It is the disciplinarian planet and holds a vital role in people’s life. 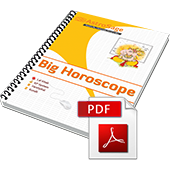 Hence, its transit will affect all 12 zodiac and bring some major changes in their lives. Let’s know them here. This week, you’ll focus more on adding to your income. However, expenses will increase, but in comparison to that your income will be better. You will receive positive results due to some hard work done in the past. Due to a busy schedule, you won’t be able to give enough time to your family. Your siblings will support you. Maintain decent relationships with women, as there are chances of you getting involved in disputes or arguments and creating a bad impression. Love Predictions: This will be a mixed week for matters related to love and relationships. Beginning will be good, moving on to a fine midweek and ending with a weekend full of arguments and conflicts. You might plan for a love marriage, but will have to face strong opposition. If married, you might end up fighting with your spouse. Remedy: Offer water from a copper tumbler to Lord Sun during sunrise. After working hard and devoting your time within your workplace, you might have to wait for the results. Income will be stable, but your expenses might increase. Family life will be normal, but there are chances of occasional conflicts arising. You will feel excited about facing several challenges and use your skills to overcome any issue. Students will perform well in studies and attain success. It will be an auspicious time for your kids. Love Predictions: It is a favourable period for love-related matters. Beginning will be normal, midweek excellent and weekend really good. You’ll feel a sense of love and closeness towards your lover, but try to compose your feelings and stay in your limits. Your spouse may attain success. You will take interest in religious activities and events. Your father will come across a major achievement. Your family life will be balanced, but there are chances of conflicts arising from time to time. Mother’s health may decline. You will get support from siblings. Your kids will enjoy this phase. Students have to drown themselves in their studies. You’ll be benefited from various resources. Love Predictions: Starting and midweek will be good, ending with a general weekend. You may go on a trip with your lover. If married, you might face some challenges, although try to avoid any kind of argument. Remedy: Worship Lord Vishnu and offer Sandalwood or Chandan. The beginning of the week can be quite disturbing for you and cause physical pain. You’ll be surrounded by self-doubt and confusion. Family life will be fine. Your siblings might face some difficulties during this period. In case you’re married and have children, they will excel in their fields. Students will be attentive with their studies and work really hard to achieve their goals. Your expenses may increase, so try to add to your income resources. Love Predictions: This week will be fine for couples in love. Beginning will be a little weak, midweek good and weekend average. You might start a new relationship and would devote your time and heart to it. You’ll spend some quality time with your partner. If married, there are chances you might end up arguing with your spouse. Remedy: Worship Lord Shiva and offer white flowers and wheat. Although your level of income will exceed the expenditure, but still you’ll spend a good amount of money. You’ll be filled with energy and enthusiasm throughout this week. Your communication skills will improve. You may plan to go on trips to short distance. Your family life will be blissful, and you may earn from your property and estates. Your kids will spend a good time. It’s an ideal period for students, who will give their 100% in studies. Love Predictions: The beginning of the week will be good for matters related to love. Midweek will be weak, but the weekend will be fantastic. There might be a slight disbalance in the compatibility shared between you and your lover. There can be the beginning of a new relationship, from which you’ll expect a lot more. Your married life will get better, and you’ll be able to understand each other well. Remedy: Worship Lord Sun and Shwetark tree. You might end up facing unwanted disputes and get involved in arguments. Your expenses will increase in the beginning but will come to a halt in the middle of the week. There might be some issues in family life. You’ll come across opportunities to gain income from property and real estates. There will be monetary profits. As you’ve performed exceptionally well in the workplace, your reputation will grow. Your kids might face some issues. Students will go into deep thinking, but this will affect their concentration. Love Predictions: This period will be challenging for couples in love. Be very cautious with the fact that you won’t end up offending your partner in any manner, as it can affect your bond and love you share. It will be a normal time for married couples, although health of your spouse might be low. On the other hand, there will be monetary gains through him/her. Remedy: Worship Lord Ganesha and offer fresh Durva grass. Constant efforts will lead to success, although you have to stop being lazy and procrastinate things. Your siblings will support you on every step. You'll feel ecstatic and spend a lot more, hence crossing your limits. On the other hand, your income levels will diminish, therefore keep a tab on your spendings. There might be tensions within the family. Mother’s health may decline. Children will do well and filled with enthusiasm. Students will study with full dedication. Love Predictions: It will be a mixed period for lovers. You’ll spend a great deal of time with your partner. You’ll feel satisfied with your love life and understand your partner’s feelings well. Things might get a bit tense if married. You both might end up arguing over petty issues. Your spouse’s health will be low, so take good care. Remedy: Offer red flowers in the temple of Maa Lakshmi. There will be a balance in the family life, and you’ll be pretty happy and satisfied about it. There are chances of monetary gains along with a possibility of growing expenses. You will be full of energy and complete every task with efficiency and attention. Be polite with women around you. Your children might plan going abroad for studies. Students might face problems focusing on their studies and being attentive, although they will end up attaining positive results. You may have to travel abroad due to work commitments. Stay alert as there are chances of you ruining relations with seniors. Love Predictions: It would be good week for lovers to resolve any matter or move forward in relationship. Although, the week will be full of romance as well as small fights altogether. You may go for a party and movie with your lover. If married, you will experience the blissful moments with your partner and even go on long-distance trips. Remedy: Pour raw milk on Banyan Tree and apply Tilak on your forehead using the wet soil. You’ll work really hard throughout this week and achieve profitable results. You’ll be highly active. Be attentive, as there are chances of you getting stuck in workplace controversies. There is a strong possibility that you might end up getting a high position along with monetary increase. You may go on a long-distance journey. Siblings will be very supportive of your actions. Things can go wrong between you and your children. Partnership in business will prove to be profitable. Students will perform well and focus on their studies. Love Predictions: It will be a mixed week for matters related to love. Although your love and bond will strengthen, and you’ll make constant efforts in maintaining the peace. You might think of marrying the one you love and get successful. If married, you’ll spend quality time with your life partner. Remedy: Apply Kesar Tilak on your forehead and worship Banana tree. Your priority will be your family as well as adding to your finances. You’ll feel mentally stressed out. You may plan to go on trips to a shorter distance. You will get positive results, but don’t do anything that can go against company policies. Seniors and co-workers will support you. Siblings will walk with you and support wholeheartedly. Expenses will likely to grow. Utilize your skills and knowledge in the right places in order to attain a good position. Love Predictions: It will be good week for affairs related to love. Couples can go on a long distance journey. Also, you might go to movies, lunch or dinner. If you are married, stay attentive. Do not doubt your partner’s intentions and look after his/her health. Stars are in your favour regarding monetary gains. You will evaluate and create strategies which will prove to be successful in the near future. You’ll dominate your opponents. Drive the vehicle carefully. Try to stay in your limits and avoid sensual thoughts. Expenses will be constant. You will emerge victorious in the debate. There might be difference between you and your siblings. Mother's health is likely to be decline. Your child will spend a good time. There is also a favorable time for students. Love Predictions: It will be a week with mixed situations for lovers. You need to try and make ideal efforts to keep your relationship warm and full of love. If married, you will attain progress within the society through spouse. The health of your spouse may decline. Both can plan and go on a long-distance trip. Remedy: Worship Shani Dev and offer blue flowers. There will an increase in expenses at the beginning of the week, but you’ll be able to cut back on your spendings. Your mind will be inclined towards spiritual activities. Financial profits will pave their way into your life. You might have to travel half-heartedly to certain places. Do not take any unwanted actions against the government or you might suffer major loss. Siblings will surely support you. Love Predictions: Your love life will be full of ups and downs for this week. Do not doubt on your lover/partner’s intentions. If married, you’ll experience top-class luxuries with your lover. There are possibilities of conflicts arising in your relationship, which you’ll overcome with your love. Remedy: Offer water to Peepal Tree and do not touch it.